/ Analytics Blog / NextGen Data / Is Your Multifamily Asset Being Run as Well as a Winning NFL Team? Is Your Multifamily Asset Being Run as Well as a Winning NFL Team? Advances in technology have a significant impact on incremental performance growth in the multifamily space, and the use of technological tools has become much more prevalent among apartment operators. If essentially everyone is now using technology to gain an edge on operational efficiency, marketing lead generation and the like, how do individual apartment operators continue to beat the competition and exceed what some perceive as a more level playing field? It’s similar to a question asked back in 1994, when salary caps were implemented in the NFL. The league leaders thought that all teams would perform more equally if the playing field were level, thus creating a more competitive and thrilling environment for the fans. Wealthy NFL teams could no longer throw money at winning, so they had to get more creative and look for the incremental opportunities to win. Deeper analysis of the detailed performance of each player, the playbook, the goals, the coaching staff, and communication became critical. Technology became one of the members of the team to help dissect performance of not only their own team, but how that performance benchmarked against other NFL teams. Outside putting up a win, the performance and benchmarking analysis became the tool of player and team performance. How do multifamily operators find those incremental opportunities to “win” their markets? First, operators need to recognize that the former luxuries of technology are now necessities. Case studies repeatedly and consistently prove that revenue management solutions lead to higher revenue growth, generally between 2% and 7%, which has led to the dramatic increase in adoption of revenue management over the last few years. Without revenue management, your comps will beat you in annual revenue growth. Now that revenue management has become more mainstream, what next? 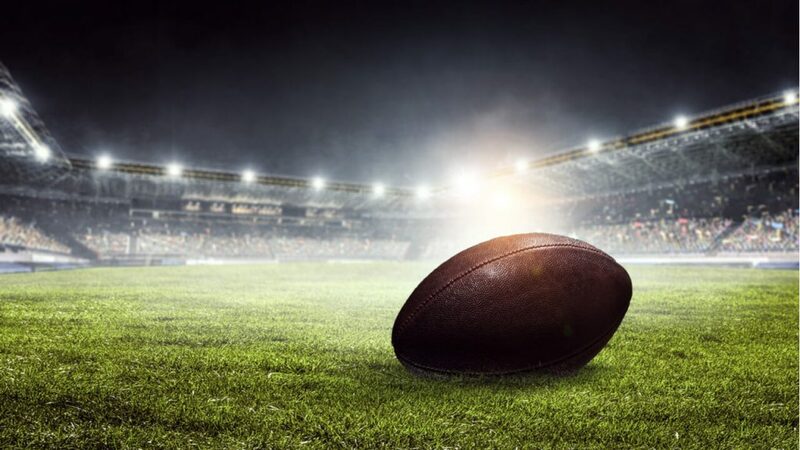 Operators need to find the technology solutions that will uncover the additional incremental growth strategies, which add to the growth from revenue management in order to win their markets – just like the NFL owners and coaches had to do after the salary cap. Second, operators need to understand how to get better “player” analysis. RealPage Business Intelligence (BI) is the first step into the deeper analysis of operational, financial, marketing, screening, maintenance, demographic and compliance of any aggregation of asset, portfolio, owner or fund performance. BI allows all levels of the organization to see critical metrics at a glance. For those who are not familiar with BI, it is time to start investigating what it can do for an organization that is working to maximize asset value and gain the incremental advantage. For starters, BI eliminates the need to pull endless reports in order to spend time manually aggregating the data to distribute it to the team for analysis and action. Instead, start with the actual analysis! BI allows users an instantaneous view of easy-to-digest charts and graphs of the metrics that are most important to each owner or operator. Customizable dashboards create and drive the company strategy and focus for every person at every level of the organization. The tool allows a user to instantly see data aggregated in any way the user selects, for actionable intelligence that leads to effective execution – and all faster than any owner or operator thought possible just a few short years ago. Business Intelligence provides a 360-degree insight into many metrics not quickly and easily reviewable in the past. Let’s take renewals as an example. On average, renewals constitute about 50% of revenue. RealPage Business Intelligence provides the ability to instantly see aggregated renewal conversion rates, executed renewal rents, renewal lease trade-out and lease expiration management in seconds. With BI, everyone from the CEO to the property manager can quickly determine where renewal money is being left on the table, so actions can quickly be executed to prevent additional losses. Most owners and operators are attempting to do this kind of deep performance analysis using manual data collection and spreadsheets. The implementation of Business Intelligence technology allows portfolio views to drill down in seconds to the asset, unit type and floor level to provide analysis for key metrics, reducing the time to receive actionable information for decision-making to minutes versus hours or even days. After looking at performance with Business Intelligence tools, decisions can be made quickly to improve performance, but is it enough to keep up with or beat the competition? Think back to the NFL example, where high-performing teams analyze the data in depth for days after everyone has gone home on Sunday. The team and the players benchmark every play against their competitors. An asset can only win in the market if there is reliable data for performance companions. 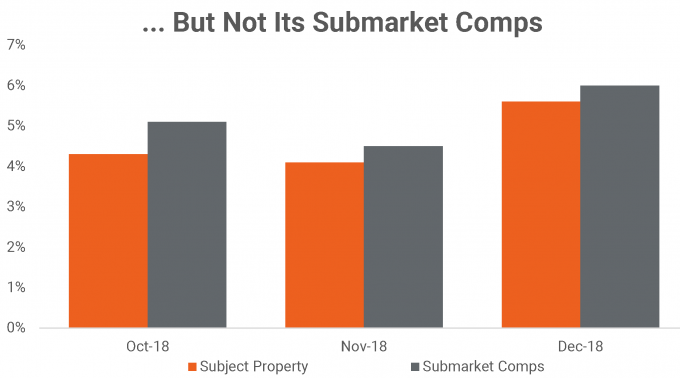 If revenue performance at an asset is 3.5%, and the comparative sites in the market or submarket are getting 4%, what was perceived as a win is not reality. Let’s tie an example of renewal trade-out to how an NFL owner might look at the data. In comparing a new all-star, first-round-draft-pick running back to the rest of the running backs on the team, he is a big winner with 4.7 yards per carry versus the 3.8 yards per carry that the other four running backs on the team are achieving. But benchmark that player against top running backs in the rest of the division who average 5-plus yards per carry, and the data reveals that our all-star player is not as good as we thought. 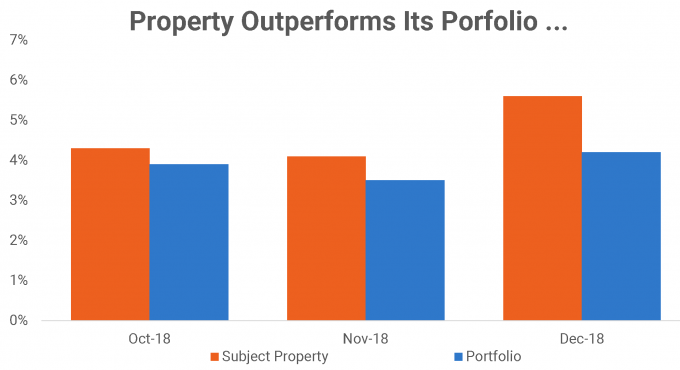 It’s the same situation in analyzing multifamily performance – only instead of a running back, you’re analyzing an asset, and instead of yards per carry, you’re looking at renewal trade-out. Like the running back in the example above, your all-star asset might look good against others in your portfolio. But benchmark that asset’s renewal trade-out performance against the submarket competitive set, and it’s a whole different ballgame. The good news here is that RealPage Business Intelligence and Benchmarking technology tools allow immediate visibility into the performance trends of our asset, for analysis in seconds, which gives the owner or operator that incremental advantage. They have the data needed to change the strategy and to win the market. Just as in the NFL, the review of the recent past performance shows where the team is not executing at the highest possible level. The Business Intelligence tool is how we dial into the specifics of why performance was below market, allowing the owner or operator to quickly execute a new strategy to win. Next, apartment operators may want to consider that data analysis and information sharing should not end at a certain level of the organization. In the NFL, the owner, coaches, trainers, equipment managers, water boys, cheerleaders and the fans know what the team needs to do to win. They understand the specific goals that both the defense and the offense need to achieve to beat the competition. That understanding comes from access to the data, thanks to the data-driven sports apps. Access to the data allows every position in the organization to understand how their job impacts the ability to win and how they contribute to performing as that 12th player on the field, thus achieving those incremental advantages to win. Logic says the same should be true for the multifamily industry, yet we repeatedly see data deployment stop at either the regional manager or the property manager position. 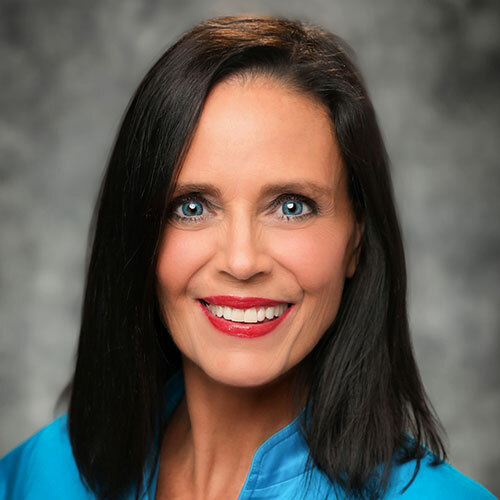 If information stops at the regional or property manager level, how does the team in the stands and on the sideline know what kind of cheerleading to do and when to do it? Spend time around the highest performing onsite teams to see that smart operators engage everyone on the team – including the leasing and service teams. If the leasing teams and service teams understand the financial and leasing goals of the asset through Business Intelligence, team member eyes are opened to how important their job duties are to the success of the team and the financial performance of the asset. The extra point: assets also now have more educated, informed and engaged site teams. Walk into any high performing onsite office where a service technician asks the leasing team how many leases have been closed today and watch the asset gain the incremental growth in revenue and reduction in expenses that impact the bottom line. RealPage Business Intelligence and Benchmarking drives that knowledge for all levels of the organization. After all, isn’t the bottom line what it is all about?